Man that killed Abortion Doctor, allowed manslaughter claim. A judge has again refused to block confessed killer Scott Roeder from arguing his belief that the shooting death of a Kansas abortion provider was a justified act aimed at saving unborn children. 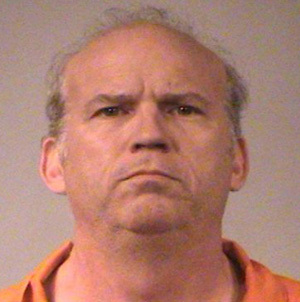 The 51-year-old Roeder has admitted killing Dr. George Tiller last May. He wants to present evidence that he did so in the honest belief that he was justified — a defense that could lead to a conviction on the lesser charge of voluntary manslaughter. Prosecutors say that defense is invalid because there’s no evidence Tiller posed an imminent threat at the time of the killing. But the judge dealt prosecutors a setback during a hearing Tuesday, saying that until the defense decides which evidence it will present, it’s difficult for him to rule on its admissibility. What is the court system, the justice system and the human race coming to. Sherry Johnson Huwitt, saw some strangers outside her Texas home loading her family’s basketball goal into a truck in the early-morning darkness. Huwitt told the men to take the goal because her husband planned to replace it. But later someone else took a tetherball goal. Hewitt then contacted Craiglist, as she should have and she was told the ad came from an e-mail account belonging to one of her neighbors, Arlington police Officer Chad Hickey. Oooo Hickey, you got some explaining to do, son!!! Initially Texas police filed a report listing the incident as a forgery, but officers acknowledged at the time they weren’t sure what the correct offense would be. But it gets worse, this scumbag of a neighbor is going to get off. The district attorney reviewed the case and “determined that it did not meet any of the elements of the criminal offense of the penal code,” said Sgt. Stan Davis. Seems to me like the DA and the Po-Po need to find something, arrest and prosecute this scumbag. This is just all sorts of wrong.